"I am a Manhattan fan - on the dry side, please! I came up with this idea when my husband was on a kick of making infused vodkas. Not so sweet as maraschino cherries, for those of us who like the 'dry side'! Use in Manhattans as you would maraschino cherries." 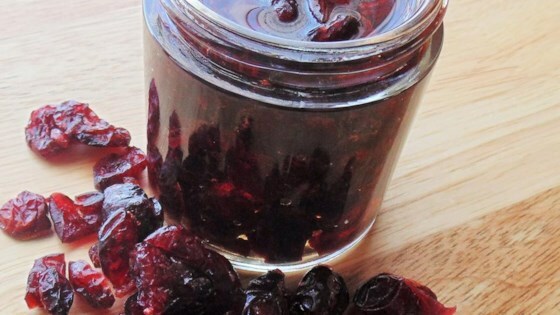 Fill a small jar with dried cherries and pour in enough bourbon to cover cherries. Cover jar tightly with a lid and place in the refrigerator until cherries are hydrated and infused with bourbon, at least 2 weeks.